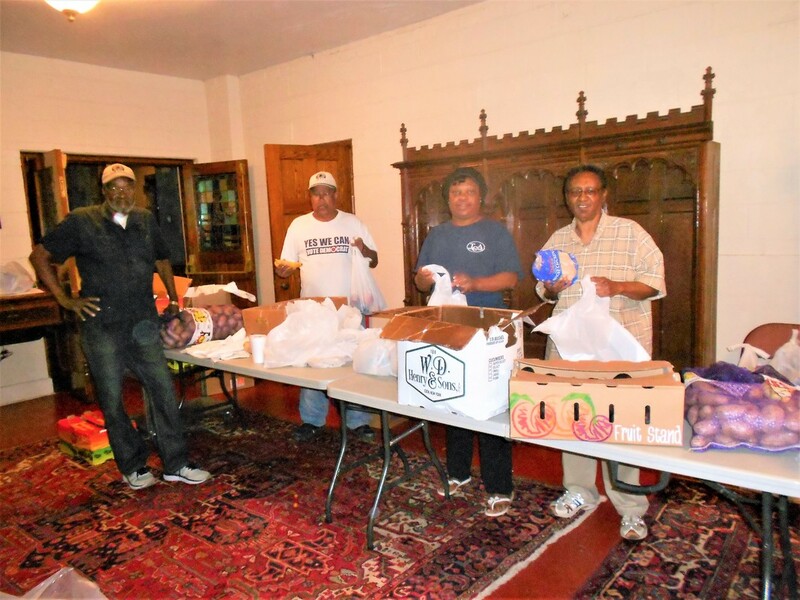 The food pantry is another way the cathedral addresses the problem of hunger in our community, serving both the needs of our parishioners, as well as those of our brothers and sisters in surrounding neighborhoods. Through generous monetary contributions and donations of perishable and nonperishable food items from: cathedral members, partner congregations, local grocery stores, and the federal Temporary Emergency Food Assistance Program (TEFAP) and the State Food Purchase Program (SFPP); and with hands-on assistance from local university students, two Saturdays each month the cathedral distributes healthy and nutritious food to residents of the greater Trenton area, totally more than 4000 bags, annually. In the spirit of Christian fellowship, food pantry guests are also invited to assist in preparing food for distribution, and to join us for our annual Thanksgiving brunch for our parish and community. In order to continue to provide quality service to our guests, we depend on regular support in the following areas: monetary contributions, non-perishable food donation, transportation of donated items, sorting and repacking of food for distribution, and promotion of hunger awareness and advocacy for change. Please contact the cathedral for ways to become involved. ​Please scroll down for our current Food Pantry schedule.